This Dunlop capo is made of aircraft quality aluminum which means it's light and easy to use. The clamp pressure is strong enough to hold yet is easy enough to squeeze for any player. 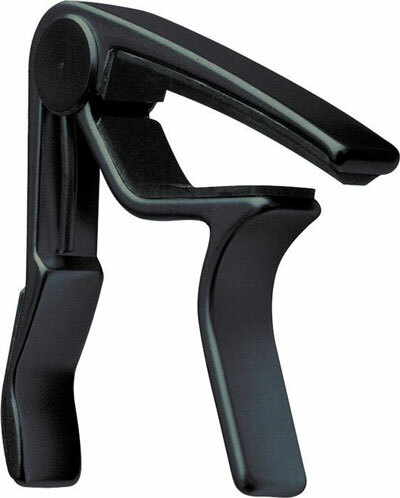 Specifically designed capo is radiused for acoustic guitars and electric guitars. Excellent equipment, Fred Kelly picks hard to find however Strings by mail carrys a wide variety of them, they also offer a selection of capo, and strings to fit your every need.